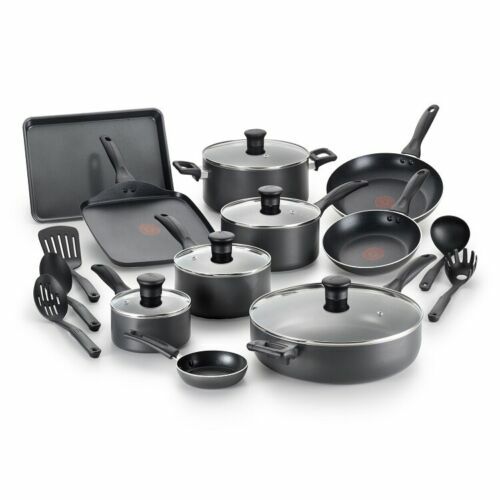 Cookware Set - Nonstick Pots & Pans, Utensils Easy Care Nonstick 20 Piece Cookware Set Thermo-Spot unique heat indicator to show when pan is properly preheated to seal in food's flavor Durable nonstick interior and exterior for easy cooking and quick cleanup Ergonomically designed handles for comfort and safety Dishwasher safe Oven safe to 350°F Set Contains: 8" fry pan 10.5" fry pan 10.25" square griddle one egg wonder 5 qt covered jumbo cooker 5 qt covered dutch oven 1 qt covered saucepan 2 qt covered saucepan 3 qt covered saucepan 9"x12.5" cookie sheet 5 nylon tools T-fal Easy Care pots and pans offer long-lasting performance and reliable results. Now featuring the patented Thermo-Spot, a unique heat indicator that shows when the pan is perfectly preheated. Proper preheating helps to seal in the flavor of food. 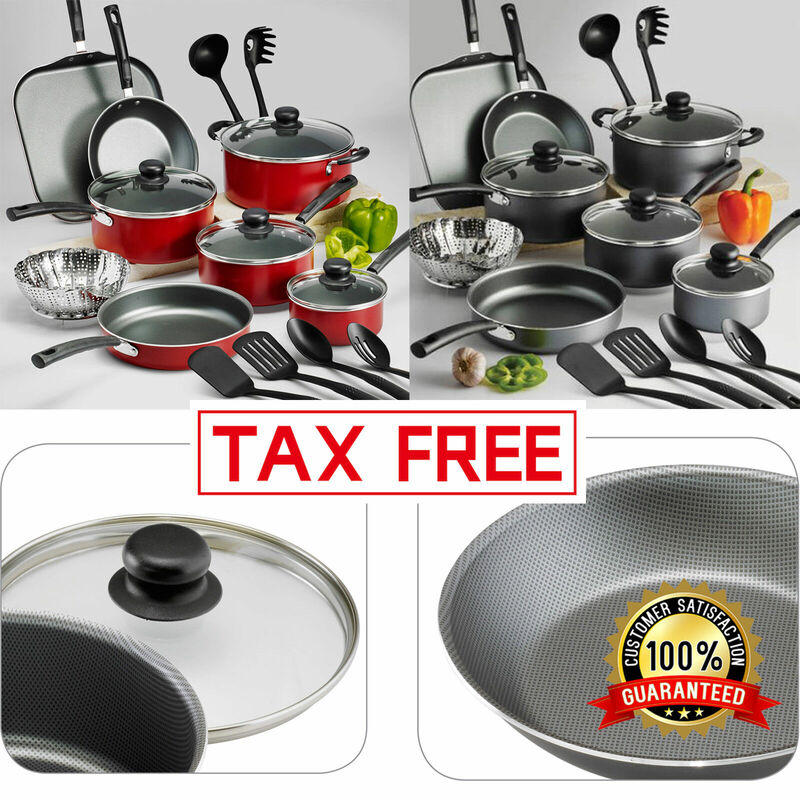 The Easy Care pots and pans are nonstick inside and out for easy cooking and fast cleanup. Ergonomic handles are comfortable and provide a secure grip. Cookware is oven safe to 350°F. Bottoms resist warping for uniform heating without hot spots. Vented glass lids for easy monitoring of food while cooking. Dishwasher safe.